Dan now has a second pair of knit socks! These were his (slightly belated) Christmas gift. 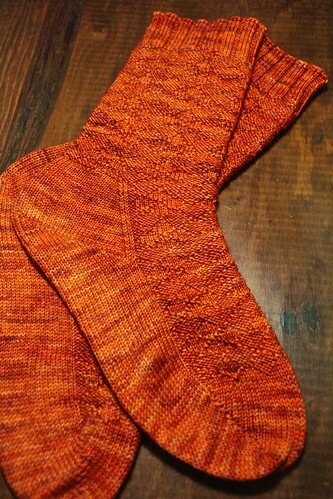 They are the first pair of socks I've made without a pattern, so I'm quite pleased with how they came out. If I were to do them again, I'd probably change the chart up a bit to make the pattern pop more, but overall I'm happy. Especially since Dan likes them and that's kind of the point, isn't it?